Alaska Airlines has grown steadily in recent years. It has a passionate customer base, and some unique branding. It also has some of the best special livery paint-jobs of any airline in the USA. We reproduce one of their retro deigns below. However, Alaska Airlines Travel Insurance is very expensive, with incredibly limited cover. As with so many other airlines in the USA, Alaska Airlines Travel Insurance is part of the Allianz Travel Insurance family of trip insurances. When asking the question ‘Is Alaska Airlines Travel Insurance Worth Buying?’, the answer is no, it can’t be, because it is provided by Allianz. Now, Allianz is a highly respected trip insurance carrier, but its plans are weak, and insanely expensive. We find this time and time again. 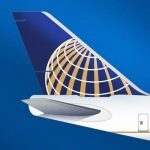 There are much better options available to Alaska Airlines customers if they search the wider travel insurance market. 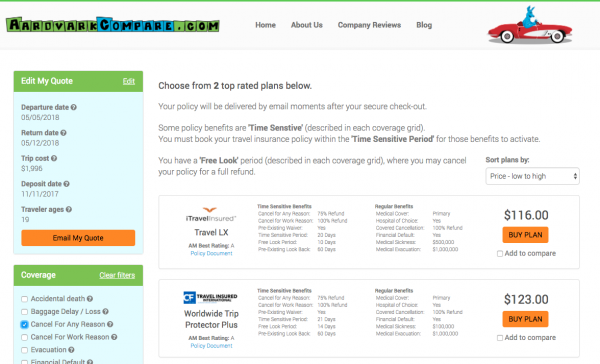 Enjoy our Alaska Airlines Travel Insurance Review. Passengers in the US are used to airlines pushing various ancillary services on check-out. Over recent years, the hard sell on flight insurance has become stronger, which is a shame. Most passengers would appreciate strong cancellation benefits. They would like powerful Travel Medical Insurance. They would feel comforted knowing that Travel Medical Evacuation insurance was included. Yet, none of this is included in Alaska Airlines Travel Insurance, which is baffling. Remember as well that Alaska Airlines does not want to offer any forms of trip cancellation insurance that could compete against its lucrative Refundable tickets. We will share a hack around that later in this article. Alaska Airlines offers us the choice of Non-Refundable or Refundable flights. Take a look at the Non-Refundable flights we were able to choose from. And here are the Refundable choices. Alaska Airlines, like most others, charges substantially more for its Refundable tickets than for the Non-Refundable. In this case, a Refundable ticket is going to cost an extra $2,000. Surely, there is a better way? Well, there is – use a comprehensive flight insurance that incorporates Cancel for Work Reason and Cancel for Any Reason. A customer will get all of their money back if they have their vacation cancelled by an employer – this is a big concern for many of us. In fact, a customer would get a 75% refund if they cancelled without any reason at all. This is a super-powerful benefit. 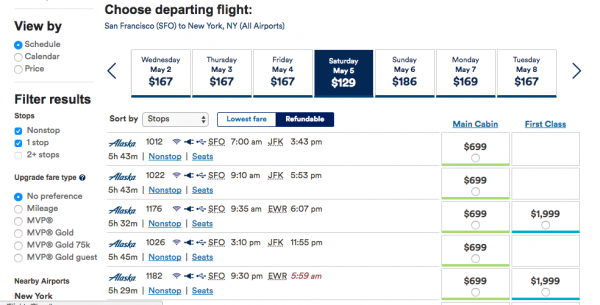 We named this the Airline Ticket Hack, and we will cover it a little later in this article. We selected a return trip that came in a few dollars short of $2,000. 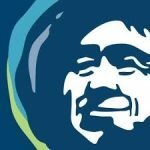 With our flight chosen, we received the inevitable hard sell for Alaska Airlines Flight Insurance. The airline uses quite punchy language to persuade us to buy its trip cover. Try to resist the urge to buy the policy that it offers you. 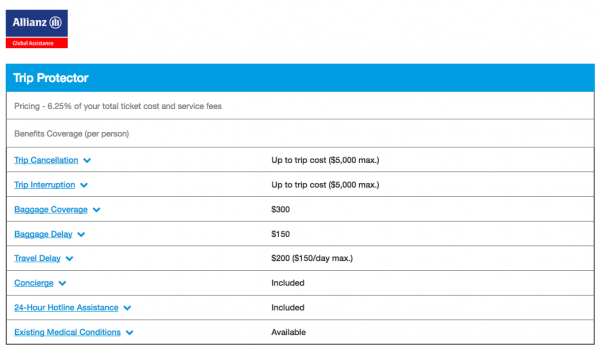 The best Alaska Airlines Travel Insurance policy is awful. It is not possible for us to find such an expensive policy with such poor cover elsewhere in the general insurance market. Well, of course it can. But not the policy that Alaska wants to sell you. The Alaska Airlines Trip Protection is only offering cancellation benefits if you get too injured or sick to travel, or someone close to you dies. We really want to see more than that in a policy. Whilst this is nice to have, so what? Where is the medical cover? Health benefits are critical elements of most policies. Can you see any medical evacuation benefits? What if my vacation is cancelled by my employer? Details like this matter in any rating of a policy. We think that Alaska Flight Insurance is missing some major components that are ordinarily included in every policy. 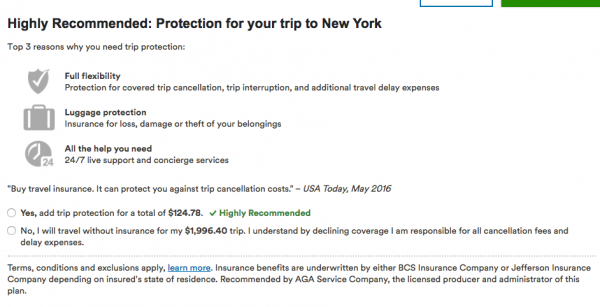 Is Alaska Airlines Travel Insurance worth it? Not, with this sort of coverage structure. 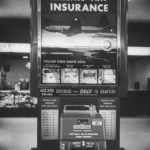 We wanted to check out how Alaska priced its Flight Insurance against another airline that used the same Allianz Flight Protector. Same price, but totally different cover levels. We had never seen this before. Now, this is awful, truly bad. We will explain why in a moment. But before we show you what real high-quality flight insurance should look like, take a look at the numbers below. 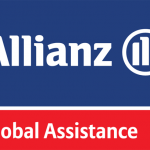 You see, Allianz offers its awful flight insurance with many different airlines. But different airlines get different cover levels. For the same price. An Alaska Airlines Flight Insurance (from Allianz) customer will get less cover than a JetBlue Flight Insurance (from Allianz) customer, yet pay the same. Does that not drive you crazy? We reproduce the JetBlue travel insurance cover below. Note the maximum cover levels are between double and triple that of Alaska Trip Protection. Travel delay insurance and baggage delay cover are all better with JetBlue than with Alaska. Don’t for a moment think that we are promoting JetBlue’s insurance. Actually, when we reviewed it, we thought it was awful. Yet, somehow, it is better than the same-priced flight insurance cover from Alaska. We highlight the differences in bold. Now, let’s look again at the Alaska Airlines Travel Insurance policy and see what is missing. Its policy is not cheap and it is missing key benefits. Certainly, it will not be the best trip insurance for many travelers. Every single travel insurance policy that we offer includes travel medical insurance. Even for domestic flights. Think about it for a moment. Missed flight insurance, or flight change insurance, is potentially quite helpful. But most of us want travel medical cover – the costs can be astronomical. Granted, most of us have medical insurance in our home state. But, check your policy – how much cover do you have out-of-network or out-of-state. No one wants those types of additional cost – that is what trip insurance on flights ought to cover. The best Alaska Airlines Travel Insurance should include health cover. Every policy that we provide a rating for has health cover for domestic trips. Travel Medical Evacuation Insurance gets us to a hospital that can treat us. This type of transportation can be crippling, which is why travel insurance should cover it. Not with Alaska Flight Insurance. Many of us worry that our vacation, that had been approved, suddenly gets rescinded. Cancel for Work Insurance cover protects us in this instance. We like to see this in all our policies, including domestic flight insurance. Alaska flight protection does not provide this critical cover. 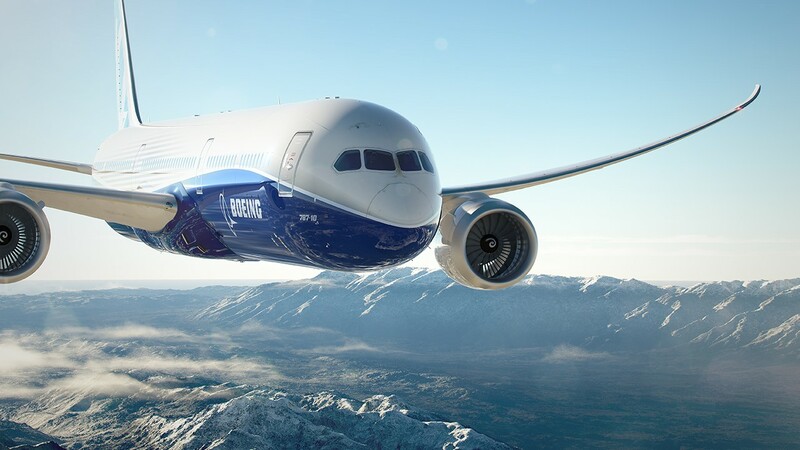 The best flight insurance programs offer great benefits that are relevant. 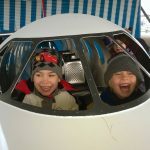 Alaska flight protection will cover us if we are made redundant. But, we need to have been continuously employed for three years for this cover to kick in. The best travel insurance policies we see need only one year of continuous employment. This type of flexibility is increasingly relevant to a working population who frequently change jobs. We don’t get that type of flexibility with the Alaska Airlines Policy. AardvarkCompare is a travel insurance marketplace. We work with some of the largest trip insurance carriers in the country. We provide your travel information to them, anonymously, then bring back binding quotes. This way you are not inundated with insurance companies’ emails. Nor do you have to waste time shopping for quotes. So, it only takes one minute to get a range of trip insurance for flights with Alaska Airlines. Here is what we got back when we ran a search for travel insurance. The cost of Flight Insurance with Alaska Airlines was $125. Do remember that Alaska Airlines insurance has no medical evacuation cover. Alaska offers no vacation cancellation insurance, and no travel medical insurance. However, you can clearly see that the lowest cost travel insurance that we find through Aardvark is only $49. That is well under half of the cost of Alaska Airlines Travel Insurance. 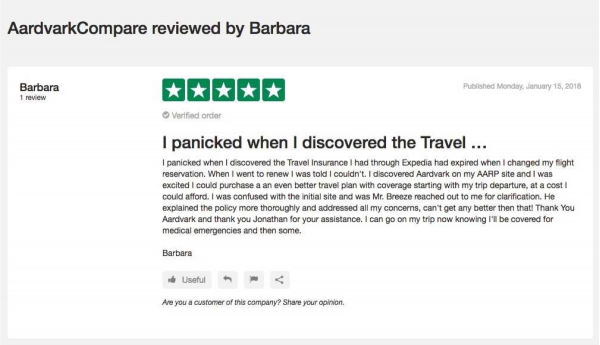 Every single travel insurance that we find at AardvarkCompare incorporates travel medical insurance in addition to travel medical evacuation cover. If you are looking for a world-class low-cost flight insurance, our recommendation in this case would be the iTI Lite Flight Insurance. A low-cost trip insurance policy for our flight was charged at $55 – this is very competitively priced. However, despite being one of the lowest cost Travel Insurance policies we sell, the iTI Lite policy has a very strong set of coverage benefits. These are significant differences in policy benefits. The iTI Lite policy is significantly better than that which is offered by Alaska Airlines. In fact, every policy that we offer has greater cover at a lower price than the Alaska Policy. Our most comprehensive policies cost less than the skinny cover offered by Alaska. 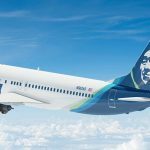 Should you get Alaska Airlines Travel Insurance? Well, not from Alaska – its policy is expensive with poor cover. In our case, Alaska Airlines was asking for an extra $2,000 to book a refundable ticket. And we know that every single day there are customers who pay double and triple the lowest-priced non-refundable fare so as to get a refundable ticket. There is a reason that airlines do not like to sell flight insurance with comprehensive cancellation benefits. 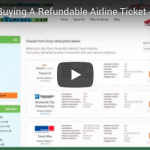 The airline wants to sell you a Refundable ticket. Think about it – in our case, the airline would be able to charge $2,000 extra to give us the privilege of cancellation. 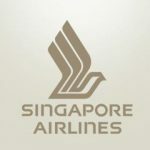 Do understand that a cancelled seat is not lost to the airline – they get to sell it to someone else later. Do recall that our low-cost travel insurance suggestion was the $55 policy from iTI. It has trip medical protection, evacuation cover and 100% Refund work cancellation benefits. It is a very comprehensive trip insurance. But, there are those of us whose travel plans are so chaotic that we worry about needing to cancel our planned trips. We are making the choice to cancel – it is not an employer who is forcing us to cancel a vacation. So, if we simply choose to cancel our flight, then normal ‘Cancel for Work’ flight insurance will not protect us. This is where Cancel for Any Reason Travel Insurance comes in. Cancel for Any Reason Travel Insurance is beautifully named. It describes itself perfectly. You may cancel your flight or vacation for any reason at all, and get a 75% refund. Think about that – your regular cancellation benefits are still intact. So, if you cancel for a serious illness or vacation cancellation, then you receive a 100% Refund. But if there is no reason for you to ordinarily be able to claim, then Cancel for Any Reason cover offers you 75% back. We think that this is crazy-powerful. There is little or no reason to ever book a Refundable ticket again. Cancel for Any Reason is embedded into the most comprehensive travel protection policies available in the market. Now, we see both the iTI Travel LX and the Worldwide Trip Protector Plus from Travel Insured International. We want to highlight the benefits in the TII Worldwide Trip Protector Plus. It is the most expensive policy we sell for this trip. A customer looking to purchase flight insurance who chose this policy would pay $123. The health benefits on this policy are significant. But that is still less than the $125 for the Alaska Airlines Trip Protection. We do not see why anyone would buy Alaska Airlines Travel Insurance from the airline, when there are much better alternatives. Please, compare the two policies. They are near-identical in price. Yet the Alaska Air Flight Insurance has almost no cover when compared with the TII Policy. 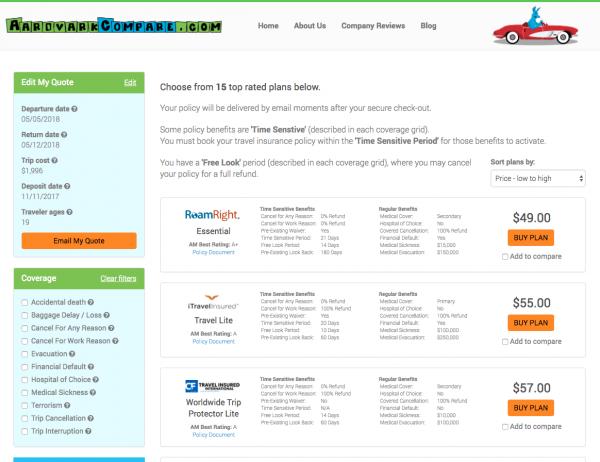 You can easily find better insurance than Alaska Airlines offers. You just need to look for it, which is where we come in. AardvarkCompare is a travel insurance marketplace. We get binding insurance quotes, anonymously, from all of our major travel insurance carriers. The insurance carriers will not contact you. We provide simple comparison for trip insurance. All of our insurance carriers are licensed and appointed in all 50 states, and D.C. They all have at least an ‘A’ rating from A.M. Best. In the USA insurance is regulated in such a way that the same policy cannot be sold at a lower price. We cover this in our excellent article: Travel Insurance Comparison. It means that the cost of flight insurance that you see through us is the exact same as if you went direct to the insurer. We do not charge a cent more than if you went direct. You cannot get better rates. Give us one minute of your time, and let us compare the travel insurance market for you. It is possible to find cheap Alaska Airlines Travel Insurance, but not from the airline. So, enjoy your next trip with Alaska Airlines. Please, do consider how to get Travel Insurance, and check your options.